Scotland Run Country Club in Williamstown, New Jersey. A banquet facility among couples. Scotland Run features indoor and outdoor facilities to service any wedding reception. It has a breathtaking view of the golf course from the second floor balcony. The wedding of Torre and Richard was elegant and gorgeous in every possible way. From the minute you walk inside the venue, you will be pleasantly surprised with the charm and decor. The venue is spacious and it can accommodate over a 150 guests. The bride has the option of getting ready at their large bridal suit. The ceremony was held outside at the pavilion. Its a beautiful location with hanging lights. The grounds at Scotland Run are well maintained. The landscape is manicured and beautifully decorated with flowers. I find Scotland Run to be a unique location where couples and their guest will enjoy. Opportunities to take creative photos are almost endless. 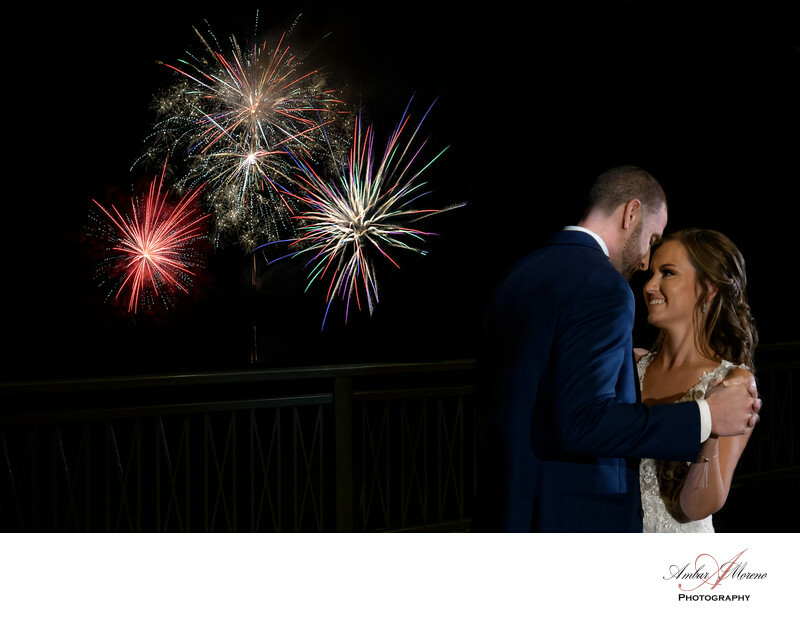 The venue offers fireworks for their clients and they can be seen from the balcony on the second floor. Keywords: Country Club (6), Fireworks (3), Golf Course (6), Scotland Run (21), Williamstown (48).